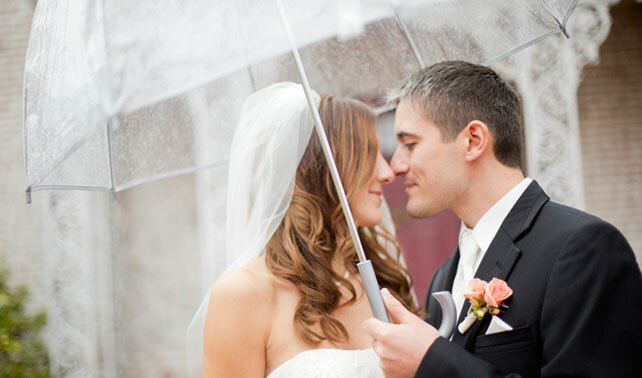 Even in the midst of the rain and winds of a hurricane Julie and Rich managed to have a wedding day that was… well, peachy. Literally. 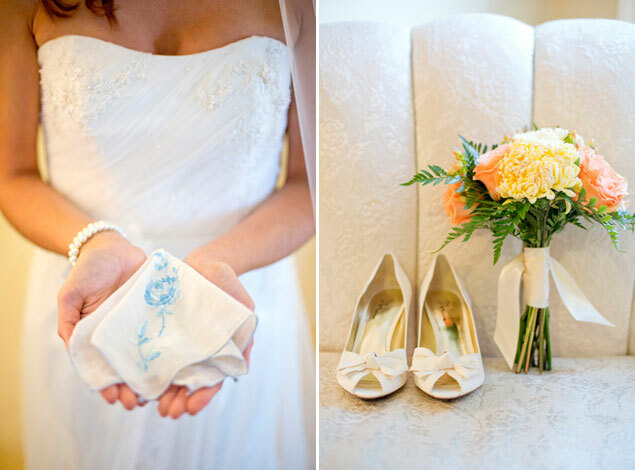 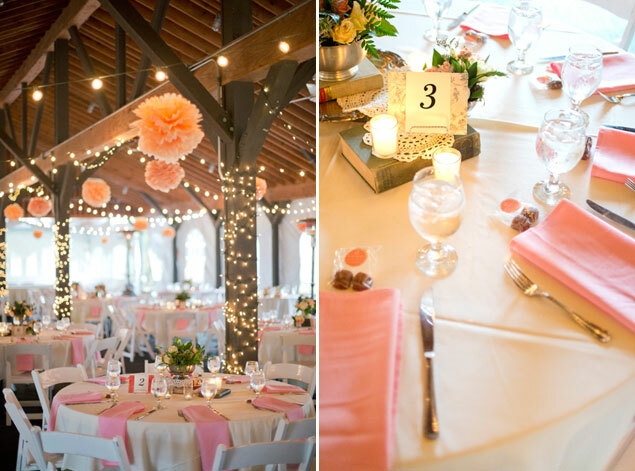 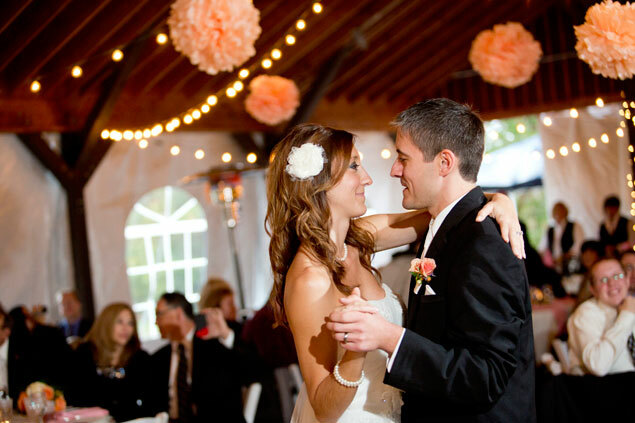 How sweet are their peach wedding colors in these photos by Kelsey Kradel Photography? 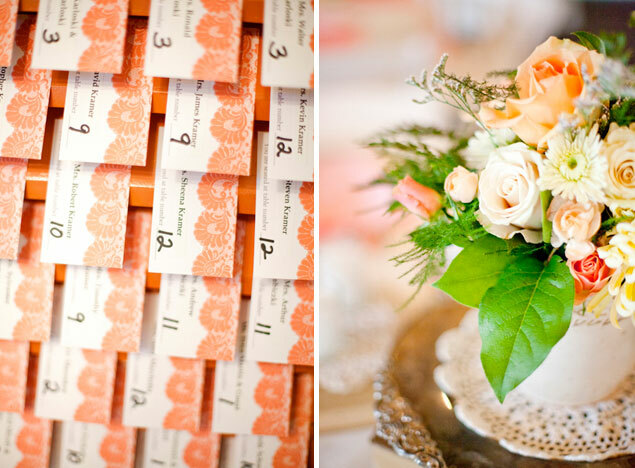 The paper goods, floral decor and handmade details together made for a beautiful wedding day! 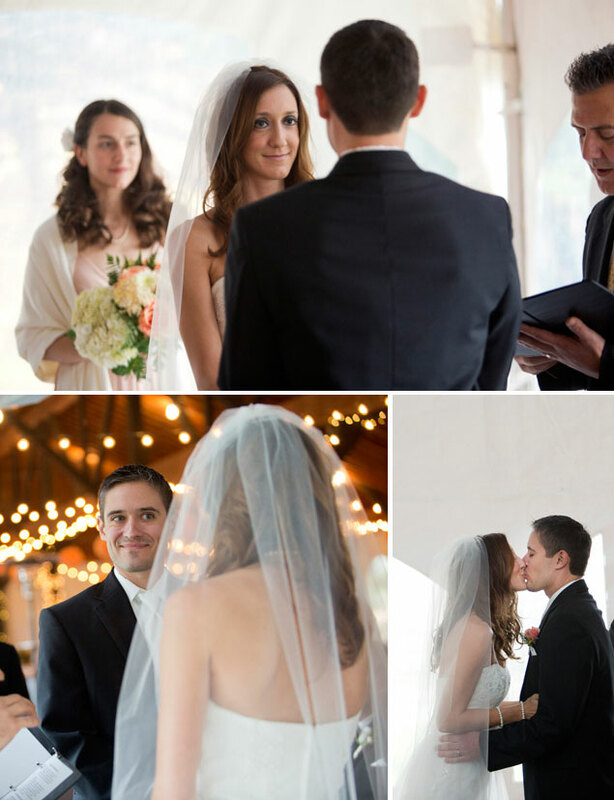 Kelsey: � Julie and Rich had their wedding at the Succop Conservancy just as Hurricane Sandy was making her way through Western PA. 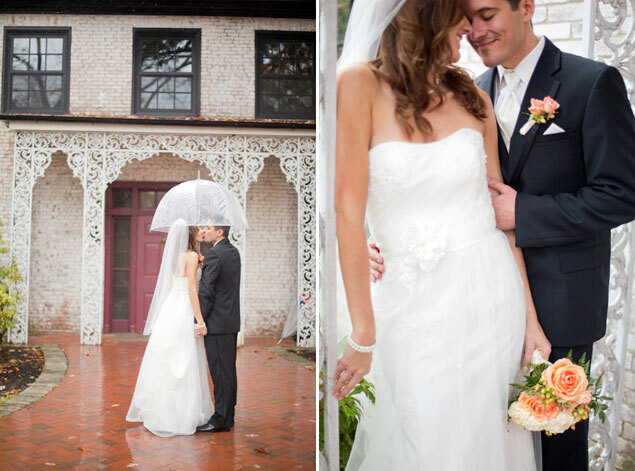 Although the rain poured down all day, Julie and Rich were shining with love. 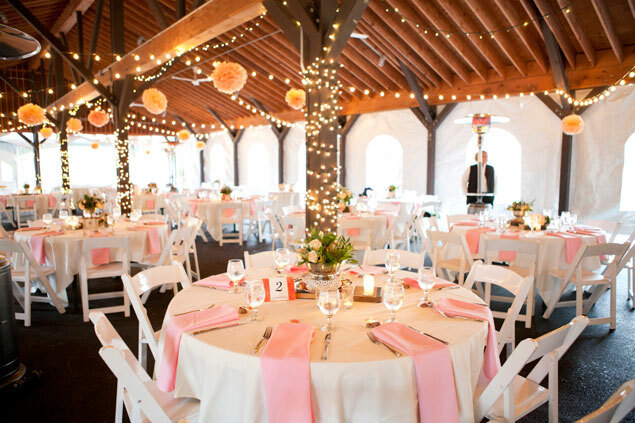 The Conservancy’s 170-year old mansion,tastefully decorated in traditional style, with art and antiques in numerous rooms provided a perfect location for both the bride and groom to prepare for the big celebration. 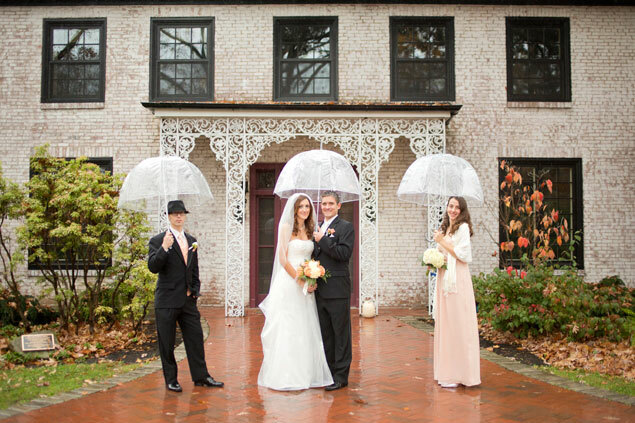 Because of the all day rain,Julie and Rich were forced to hold their ceremony under the umbrella of the Conservancy’s cozy and warm outdoor shelter and tent. 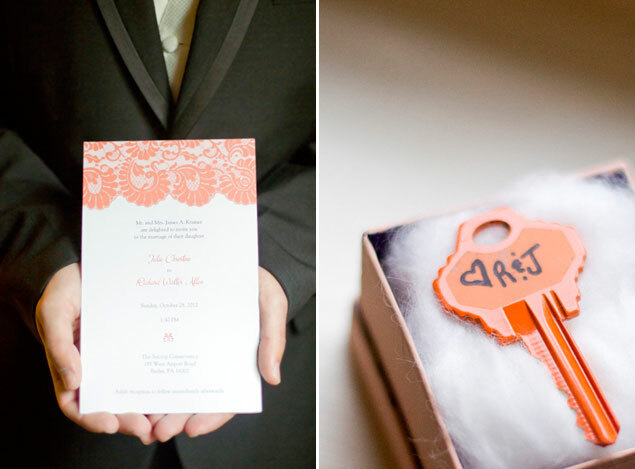 Although not ideal, this added to the coziness of the personal and intimate ceremony. 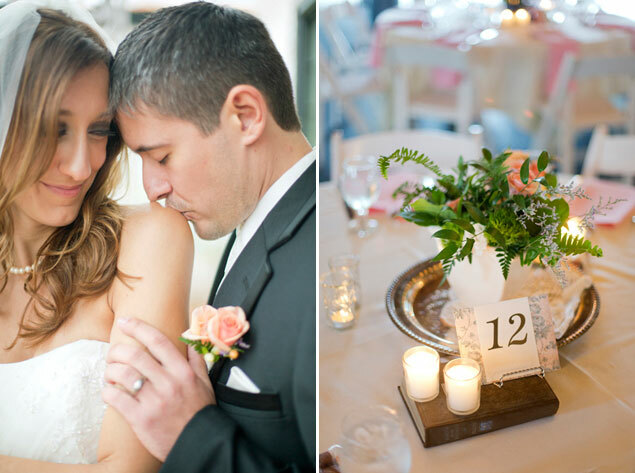 The flowers and table decor from Green Sinner, made from lace, old books, ornate vases, doilies and romantic candles set the mood of being cozied in for the evening, while the rain poured outside. 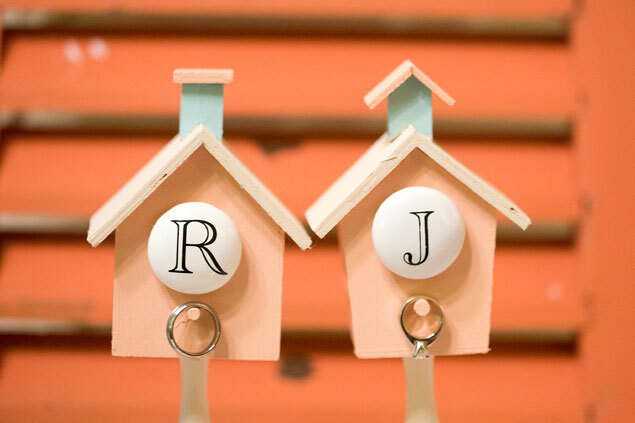 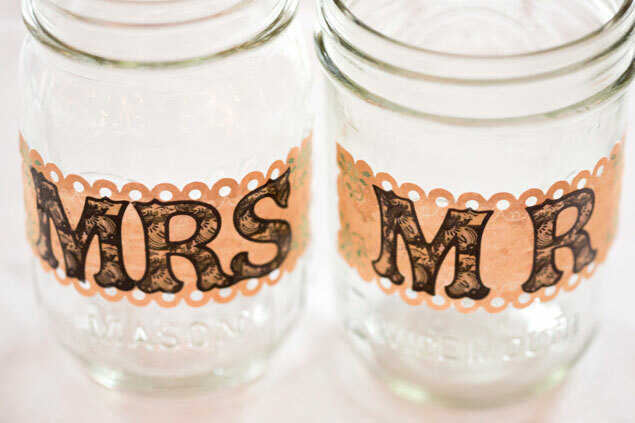 Many DIY details were incorporated from the bride.